Fall is almost here, and that means a whole new array of autumn hues in makeup. Fall is such a beautiful time of year, especially where I grew up in Michigan. The dynamic autumn colors usually peak at the end of September and go thru the first two weeks of October. The colors are vibrant, with a kaleidoscope or crimsons, burgundies, and russet oranges. 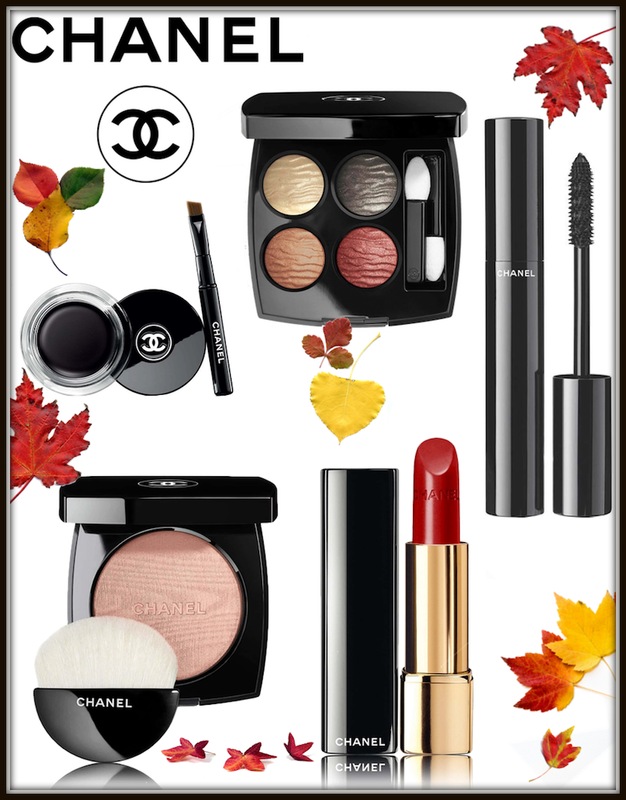 Just as the seasons, change, so do the makeup colors, and I've found some fabulous new makeup from CHANEL for your perfect Fall beauty looks. Above are a few products that I love. One of my favorites is the CHANEL LES 4 OMBRES ECLAT ENIGMATIQUE PALETTE, which is a limited-edition exclusive creation designed by Lucia Pica that features four light-textured, buildable eyeshadow shades to highlight, define and intensify. Black eyeliner is also a must for this season with the CHANEL CALLIGRAPHIE DE CHANEL LONGWEAR INTENSE CREAM EYELINER. Another favorite and must-have is the CHANEL HIGHLIGHTING POWDER COMPACT, which is an illuminating face powder to reflect the light and give you a luminous glow. We all love a Chanel lipstick, and this CHANEL ROUGE ALLURE LUMINOUS INTENSE LIP COLOUR shown above in Independante, offers longwearing color and full coverage. You can't forget those gorgeous eyes, with the CHANEL LE VOLUME DE CHANEL MASCARA which gives you instant volume and intensely lush color. Shop more CHANEL beauty below. Simply click on the image, or the description below for more information. Get you Autumn glam look today!